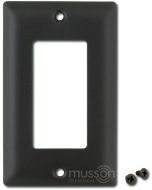 Electronic Control Plug-in Boxes or ECPBs allow lighting controls to connect and operate lighting and other equipment. 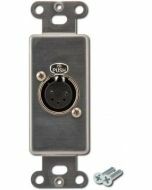 Connections vary from industry standard DMX512 and Ethernet to portable houselight control and remote control devices. Official ETC guide on how to terminate building DMX wiring when using cost-efficient CAT5e/CAT6 cabling. Mix and match elements to create your desired ECPB station, for use in your drawings. Separate CAD Blocks for all possible outlets, plus 1-gang through 7-gang faceplates.